Planning your retirement? Senior Citizen Savings Scheme can offer you regular pay-outs, tax saving opportunities, and low risk. Here are some benefits from this government scheme. 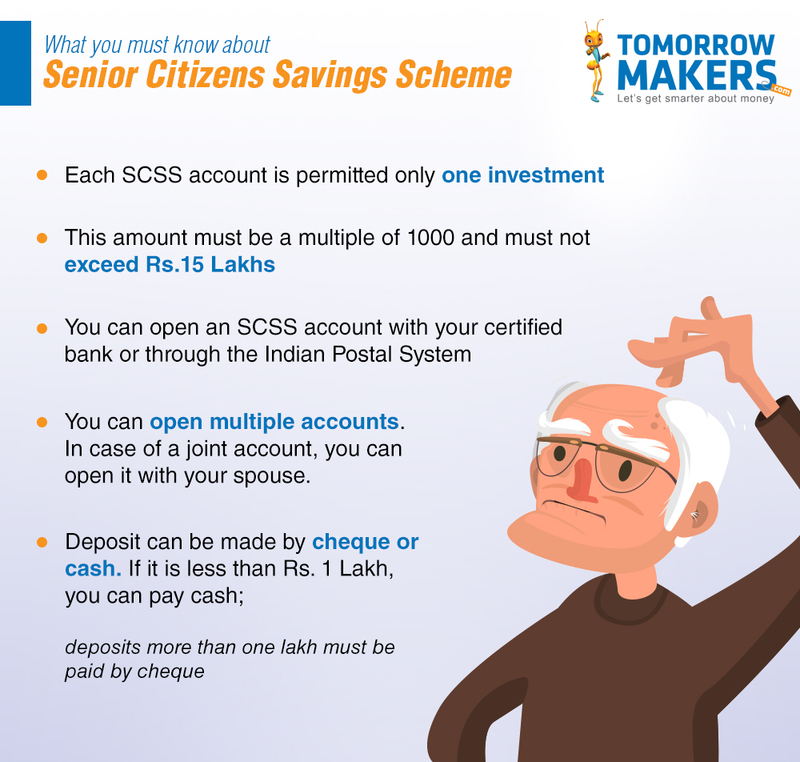 The Senior Citizens Savings Scheme (SCSS) is an investment scheme made available by the government. This saving program offers interest rates that are usually higher than Fixed Deposit rates, security, as well as long-term benefits and returns to senior citizens, and this is what makes SCSS a great addition to any retirement plan. When you open an SCSS account, you make a one-time deposit for typically 5 years. You then receive an interest that accumulates on this amount every quarter. For the financial year 2017-18, the interest rate is 8.4% per annum. For the financial year 2017-18, the interest rate is 8.4% per annum, ensuring fixed returns. This interest rate changes every financial year. There are certain criteria you must meet to be eligible for this savings scheme. Are you 60 years of age or above? If yes, then you are eligible for SCSS. Not 60, but officially retired? Don’t fret. Any individual who has retired and falls under the age bracket of 55-60 can also benefit from SCSS, provided you retire as per VRS (Voluntary Retirement Scheme) or superannuation. 3. What if you have retired from the Defence Services? You too are eligible for SCSS. However, the age-criteria will not apply to you. 4. You can also open a joint SCSS account with your spouse. 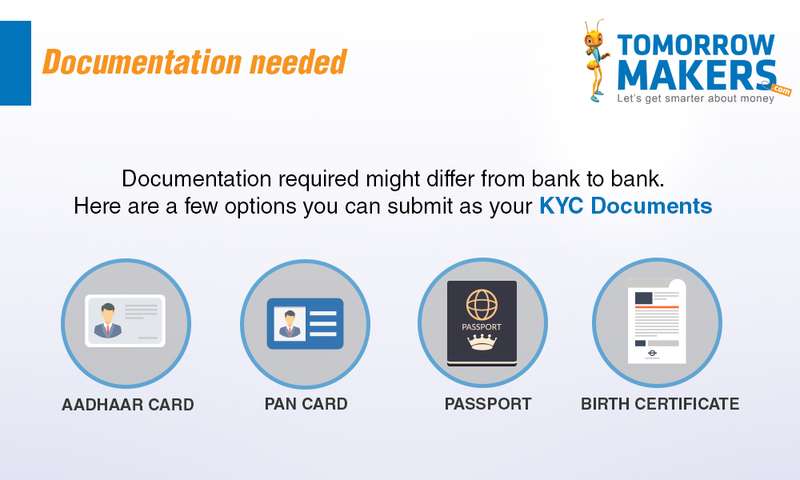 Here, the age restrictions will be limited to the primary depositor, may it be you or your spouse. What is the tenure of this scheme? Generally, the tenure for SCSS is 5 years. On maturity, you can opt to extend the tenure by 3 years, if you want. This can be done by sending in an application request. What if you want to terminate earlier? If for any reason you choose to prematurely terminate your account, you will be given access to the accumulated amount. You can terminate your account only after 1 year. If you choose to terminate after 1 year, but before completing 2 years, a penalty at the rate of 1.5% of your funds gets deducted. If you choose to terminate after 2 years, then a penalty at the rate of 1% of your funds will be deducted. How will you receive the accumulated interest and how often? In the first year, you receive the interest amount on 31st March, 30th September and 31st December. From the second year onwards, you receive the interest amount on a quarterly basis. You can collect the amount from the savings account of your bank or post office – where you maintain your SCSS account. Unlike fixed deposits, this scheme does not offer ‘cumulative interest’. The interest rate on SCSS is revised every quarter by the government, however, the interest rate is locked on the date of investment and it remains the same regardless of changes made by the government. The revised rate is reflected only in new investments. If you have extended your SCSS account after maturity, the interest rate will then be decided as per the prevalent rate for that scheme on the date of extension. Although investments under this scheme qualifies for tax benefits under Section 80C, the interest earned is treated as an income, and is therefore taxable. If your income from the interest deposits exceeds Rs. 10,000 per year, then your income will also be subjected to tax deduction at source (TDS). This means that even if the total amount of your income isn’t taxable, you will still have to file returns to regain your TDS. You can assign or change a nominee for your account without any hassles or additional fee. Related: Can you afford to live to a 100? Whether you have planned your retirement or not, consider opting for this savings scheme, as it offers the benefit of high returns. In addition to this, it also offers a steady income, which can come in handy when you are retired. The accumulated interest amount is directly deposited in your savings account. Account statements containing details of Deposit balance and transactions will be forwarded to you via post and/or email. Customer service is provided via phone banking facility. The SCSS scheme, sponsored by Indian government, is administered to the public through the Indian Postal Department and a list of certified banks.